Val Shakely is a list-maker. Daily routine. Check. Calm, quiet (but successful) business. Check. No drama. No excitement. Some might call it boring, but it’s precisely the way Val likes it. She loves her hometown of Cambria, nestled in the mountains of Colorado, and runs a fruitful PR firm. And that’s more than enough for Val. So what if she doesn’t have a social life? Then, her cousin Gwen decides to take on the local political bully, the Mayor, in head-to-head combat for the Mayoral seat and Val takes her company reluctantly, and against her better judgment, into the fray. The minute Val takes on Gwen’s campaign, the safe world that she has carefully constructed begins to unravel. She feels the pressure of the campaign and the personal attacks by Gwen’s opponent. And as if that wasn’t complicated enough, Val finds herself falling in love. Val’s desire to stay on the sidelines is put to the test and she’s forced to reexamine the life she’s built as she trudges toward a new and more exciting future. Wallflower Blooming is a charming novel set in a small town in Colorado. Val Shakely runs a PR business. Her work leads her to help her cousin Gwen with PR for her Mayoral bid. Val is a quiet homebody who loves to read and enjoys calm and peacefulness. She is surprised to be part of the political scene, and even more surprised to meet an intriguing man. John Hatfield is also independent and a bit of a recluse, so his romantic interest in Val takes him by surprise. When Val and John deal with a political bully, and she uncovers some secrets from her family, they find some things they need to work through ... while continuing to get to know each other. I loved the small town setting of this book, and enjoyed the characters of both Val and John. They were very likeable and sympathetic, and I found myself rooting for their relationship to succeed. I especially loved the way both the characters bloomed as they moved out of their comfort zone in their budding relationship and life in general. Wallflower Blooming is well written. Amy Rivers does a particularly nice job balancing descriptions and dialogue. The characters are well-drawn and believable. I look forward to more reads by this author in the future. This is a very pleasant, upbeat story, and it would make a relaxing weekend read. Recommended! 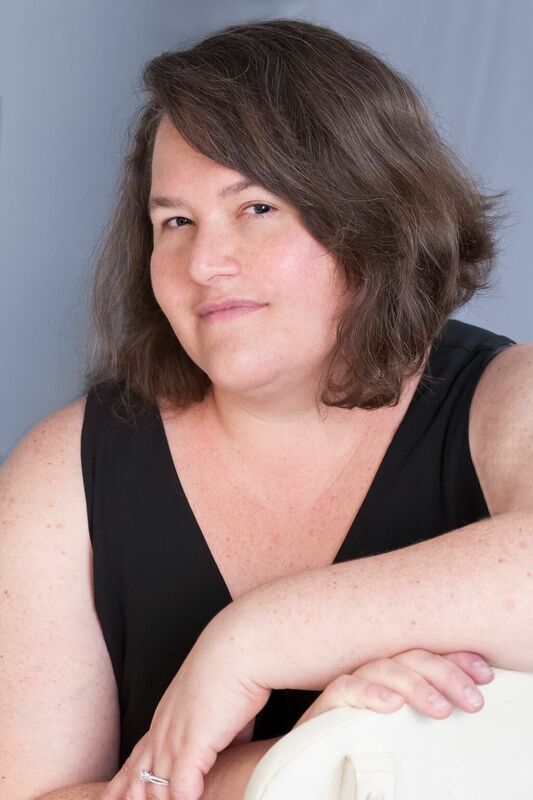 Amy Rivers was born and raised in southern New Mexico and currently resides in Colorado. She had an idyllic childhood despite a severe visual impairment and, perhaps because of her disability, she learned a lot about compassion and empathy from a young age. Her keen interest in social issues and violence prevention led to a Master’s degree with concentrations in Psychology and Politics. She was the director of a sexual assault response program and remains an advocate for social justice. Amy has been published in Chicken Soup for the Soul: Inspiration for Nurses, Novelty Bride Magazine, ESME.com and Splice Today. 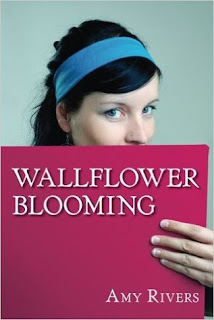 Wallflower Blooming is her first novel. One lucky reader will win a copy of Wallflower Blooming. Giveaway is open to readers in the U.S. and Canada. The giveaway will end 12/15 at midnight. Winner will be contacted by email and needs to respond within 48 hours. The book will be mailed to winner by the author or her publicist. I love romance books. This looks like a great read. This book sounds awesome! I hope to win because books are my life and I would love to add this to my library! From the review I just read, this sounds like a great book to cozy up with on a chilly weekend.